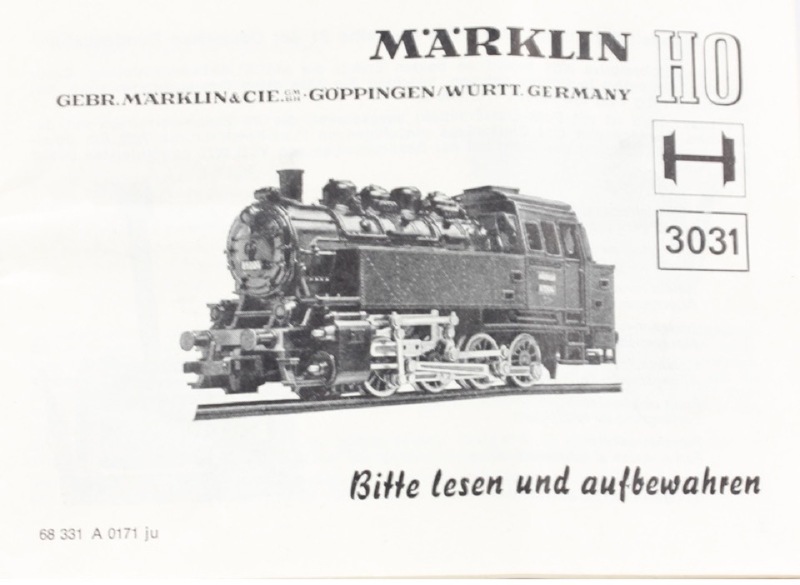 This item is a Marklin H.O. 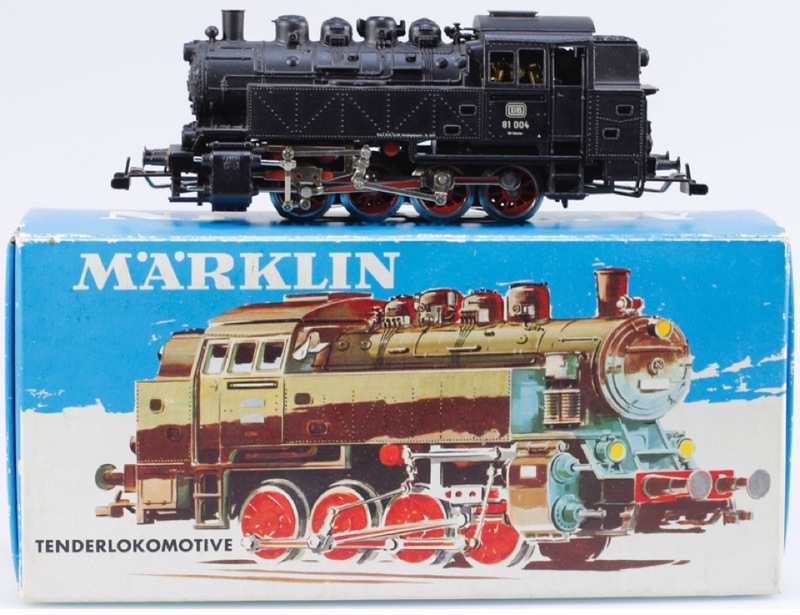 #3031 DB 0-8-0 Class 81 Steam Tank Locomotive. It has a die cast body, metal frame, and Telex Couplers. It is in like new condition. When tested it ran great. 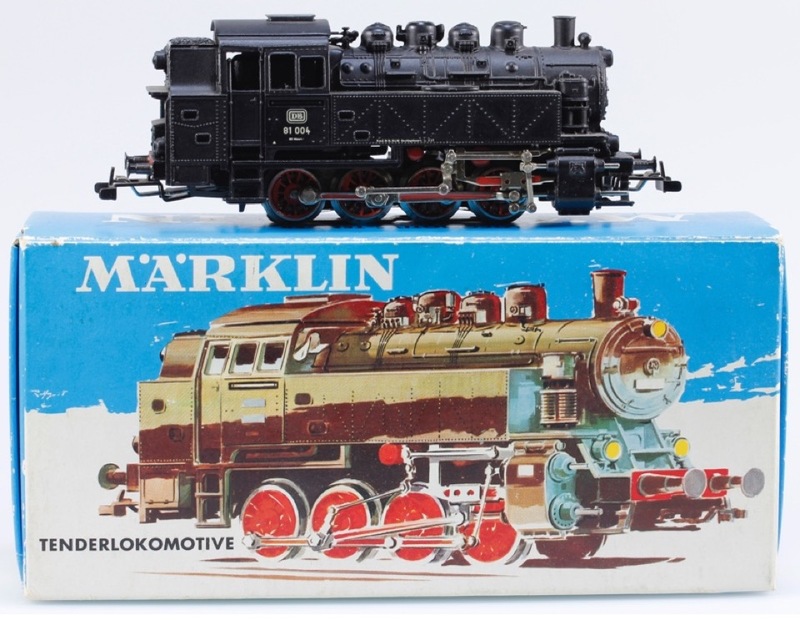 It has the original box with instruction booklet (dated 1968) and was produced from 1965 to 1973 to operate on the Marklin three rail A.C. system.